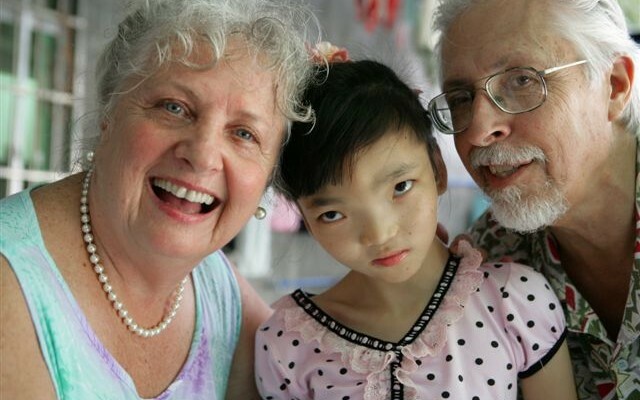 In 2004 John and Maggie from America opened a center for special needs children in Sanya, which is called The Bright Connection. There are now over 30 children and about 15 staff in this center. My experience of being a one-day volunteer at The Bright Connection has taught me a lot, and all these special children have shown me a totally different world. I hope, from the bottom of my heart, that they can receive much more public attention and assistance. We arrived at a five-story building in a very small village in Sanya at 8:30am, September 6th, 2013. On our arrival, I heard the noise of the children, more of screams than laughter. The staff was feeding the children. Till now, I still remember the scene when I walked into the center. The children were divided into two groups: some of them are able to have meals all by themselves, slowly and with difficulties though, while some disabled children need to be fastened to a chair and be fed by a carer, due to their physical problems or tendency of hurting themselves. One thing that amazed me was that some of the older children were helping to feed the younger ones, depite their disabilities. I fed some of children there, and understood how hard it was to be a competent carer. During the meal, some children kept hitting and pushing the bowls; some vomited nearly all the food they just swallowed; some could not help shaking heads and moving bodies. I admire the staff in the center for their patience and love and support for these children. After meals, we brushed the children’s teeth and then helped them to go to the bathroom and also change diapers, which are all easy daily actions for any normal person but not for these children. After that, the children watched TV programs of children’s songs and dances. Very few children who are able to have a little control of their bodies tried to dance very slowly. They tried so hard that they sometimes lost balance and fell down. Listening to the happy music, looking at the children’s happy faces, however, I almost shed tears. At the same time, all the staff except for the one who kept looking after the children with me, cleaned the dining hall, where there was food on the floor everywhere, made beds for the children and washed a lot of dirty clothes and towels. I just experienced one of their working days, and I felt so overwhelmed by so many chores. But they have kept doing so for so many years. For me, these people are just amazing. The children’s dorms are on the fourth floor. Every afternoon, carers will take them upstairs and give the children a rest on their beds. For the disabled children, getting to the fourth floor is not a small challenge. The center made the arrangement for the purpose of exercising their muscles and bones and avoiding them from losing functions gradually and totally. It was sad to see these children challenging themselves in reaching the fourth floor, but I meanwhile sensed their wishes for continuing their life and their resolution of moving forward. As far as I am concerned, these children in the center have had an unfortunate life since they cannot use their brains and bodies as a normal people do and they have to encounter a large amount of difficulty in their life and they cannot even live without others’ help. But why not say that they are fortunate that they have the life in the center with so many people loving and caring about them and helping them move forward. I hope that more and more people get to know and provide help to The Bright Connection and these children. THANK YOU DAVID……. children everywhere are precious and some day, we all will be accountable for how we did , or did not, help them…. and we are to train them up in the way they should go and do our best. Their minds and hearts will be forever etched by those who have served and loved them. THANK YOU to all who have given of your time and hearts to visit The Bright Connection and rolled up your selves to help when ever you can.